Relationship Apathy is common and deadly…. or had some other medical issue suddenly come up, how long would you wait before seeking expert advise to get to the bottom of your issue ? Would you be apathetic towards your physical well being ? Imagine if you have an issue in your relationship, how long would you struggle before seeking help ? This waiting period for relationships, ( on average about 6 years…) is the single biggest contributor to relationship success or failure. At Oztantra, in our specialised Relationship Counselling workshops, retreats and sessions, we have achieved @80% success rate over the last 10 years, and with out exception, those who didn’t “succeed” left it far too long before seeking help. And, leaving your relationship with unresolved issues, simply means that these unresolved issues will most likely emerge in your next relationship. If you don’t know where to start, these links below may offer you a simple and easily accessible starting point, with dozens of relevant published articles, pages, podcasts , video’s and regular newsletters. Skype, or similar internet medium is also a convenient and very effective way to get the ball rolling…. Waiting or ignoring your stuff is deadly to any relationship.. This waiting period, especially if motivated by apathy or fear in not seeking change or adequate support, is the single and most common cause of relationship failure. All people and relationships have issues, its a normal aspect of being human. What makes the difference between success and relationship failure, is how these issues are tackled and dealt with. All Oztantra workshops, Retreats and either face to face sessions or with skype specifically focus on how to address these issues in your unique and intimate relationship. It is very difficult to come up with a one size fits all answer to relationship issues, accept that every person in relationship has issues and issues in relationship are unavoidable, and perfectly normal. The difference is not about the issues, but how each individual will seek ownership and responsibility in seeking resolution of their personal issues. 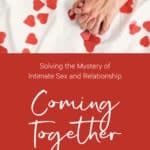 Every couple is unique and successful relationships mostly are determined by the level and degree of application towards resolving their own personal emotional issues as individuals, together in their relationship. It is this desire to change, to face down fears and have a go at seeking connection through answers and resolution that determines relationship success. Its having “the” conversation as early as possible, before things start going pear shaped. 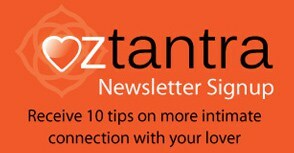 Oztantra specialises in meeting couples where they are at, in their relationship. Contacting us is easy, and your simple first step, regardless of your location. 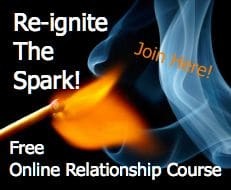 This website has hundreds of pages, articles, video’s and podcasts on relationships and sexuality. Want to read more articles like this…? You don’t have to look back very far in history to see that monogamy, marriage and relationships have gone through major changes. Originally, marriage was all about ownership of property, money and lineage and monogamy had little to do with desiring to be with just one person for the rest of your life. And, we don’t have to go back very far in history to realise that life expectancy today has dramatically increased, and also with this increase has come significant advancement in the quality of life as well. I believe we have physically succeeded in creating better and healthier lifestyles, but our evolution of how to integrate these changes into emotional quality of relationship hasn’t kept up with advances in life expectancy. The common denominator through all these changes, is that people have more choice, longer life and better health, yet why is this not showing up in happier and longer lasting relationships? Why do so many struggle to the point of giving up or choosing something that is less rewarding and fulfilling ? Working daily in this field of relationships we come across a huge range of issues, complexities, hurts and also breathtaking beauty. Consistently when these “issues” are broken down or delved into, there exists a single and common thread of disempowerment or reluctance to delve deeper, even to the point of apathy. This reluctance or fear of delving deeper into and taking responsibility for their own individual emotional baggage is what I believe, is the single most significant limitation for any person in relationship in moving forward. When any couple approaches us for support or guidance, the first thing we look for is are they on the same page with why they are seeking assistance. And, sometimes, the answers are mind boggling different over how they see their main issue. When this happens, it is not about the issue, but more importantly why they are very separate in dealing with their emotional baggage. The problem is something deeper and more personal and usually cloaked in fear, fear of their own personal demons or trauma. This fear will create a sub conscious story that if “I” expose this, then I will be destroyed, and usually creates an environment in their relationship that is about their own individual fear based patterns. Instead of owning their issues, they choose to project their personal issue onto their partner which will turn their relationship dynamic into a battleground. With the dramatic increase in life expectancy and the potential to spend 60 – 70 years or even longer with one person then obviously relationship skills require a totally new approach. Especially when considering the ease of freedom of opportunities, possibilities and distractions that are now common place for most people. At Oztantra, we believe this is a major underlying issue in relationships, where partners desire to be together with genuine enthusiasm, but unfortunately, it is their skill level that will repeatedly let them down. On the job training in relationship is how most of us learn our relationship skills. Possessing a genuine and enthusiastic desire to learn and experience relationship is what I believe is the main distinguishing skill required to develop the skills required for success.